Instead of testing dozens of free online casino apps before you find the right one for you, we are about to make your life easier so you can get to play as soon as possible. 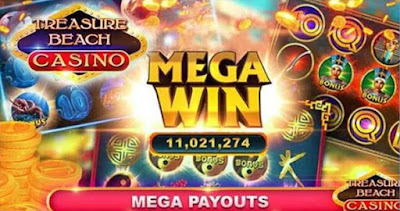 Our team members went through and tested a wide variety of free casino apps to give you our favorite free online casino app available on your Android. We present to you Treasure Beach Casino & Slots, an awesome casino app optimized for phones and requiring Android 2.3 and up. Its developer team, SkyAngel Entertainment Inc, designed it with friendly user interface, cool graphics and integrated tons of fun features. What we loved about Treasure Beach Casino & Slots is that it combines three types of games – slots, Blackjack and Solitaire games. 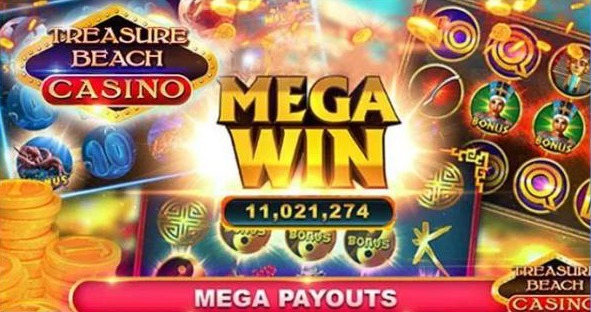 The slots go with many bonus games and free spins, designed with lovely theme, the Blackjack game gives you a chance to win big and to double down to take the house, and the Solitaire card games have with lots of bonus games and lots of wins. The most important thing about this app is the opportunity to donate to charity – you can donate your rewards or use them for awesome freebies at places like Amazon, Target, Applebee’s, and more. If you want to download the app, just click the link below and you can have it for free!